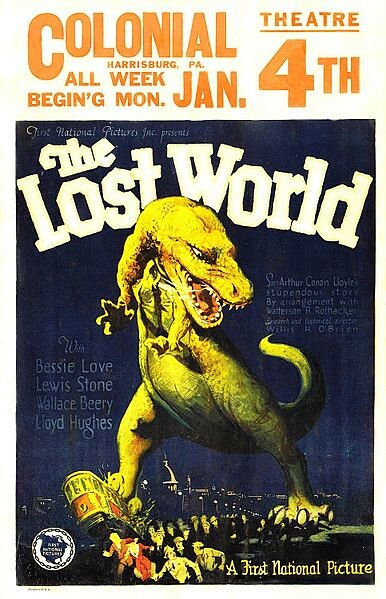 Directed by Harry O. Hoyt and featured pioneering stop motion special effects by Willis O’Brien (an invaluable warm up for his work on the original King Kong directed by Merian C. Cooper and Ernest B. Schoedsack). In 1922, Conan Doyle showed O’Brien’s test reel to a meeting of the Society of American Magicians, which included Harry Houdini. The astounded audience watched footage of a Triceratops family, an attack by an Allosaurus and some Stegosaurus footage. Doyle refused to discuss the film’s origins. On the next day, the New York Times ran a front page article about it, saying “(Conan Doyle’s) monsters of the ancient world, or of the new world which he has discovered in the ether, were extraordinarily lifelike. If fakes, they were masterpieces”. 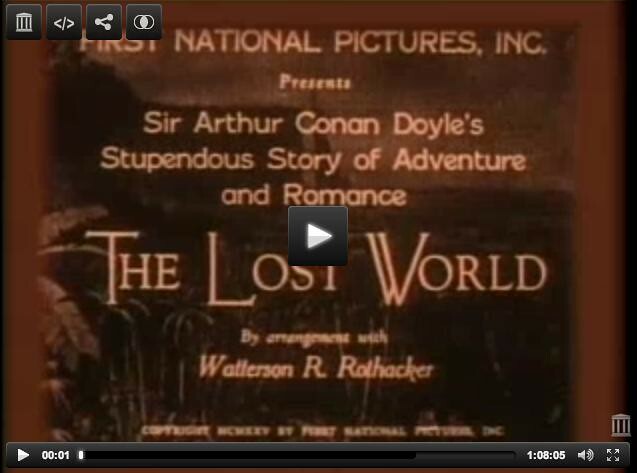 It is a film of many firsts: first film to be shown to airline passengers, in April 1925 on a London-Paris flight by the company Imperial Airways; first feature length film made in the United States, possibly the world, to feature model animation as the primary special effect, or stop motion animation in general; first dinosaur-oriented film hit, and it led to other dinosaur movies, from King Kong to the Jurassic Park trilogy. 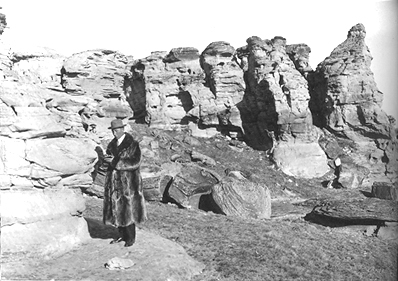 As we lavish love on lizards, we might send dusty birthday greetings to paleontologist Barnum Brown; he was born on this date in 1873 in Carbondale, Kansas. Brown (who was named after the famous showman) discovered the first documented remains of Tyrannosaurus rex during a 66-year career in which he became the most famous fossil hunter in the world. Though most of his work was sponsored by the American Museum of Natural History (where most of his finds reside), some was underwritten by the Sinclair Oil Company– which adopted an image of the Apatosaurus (then known as Brontosaurus) in its logo.